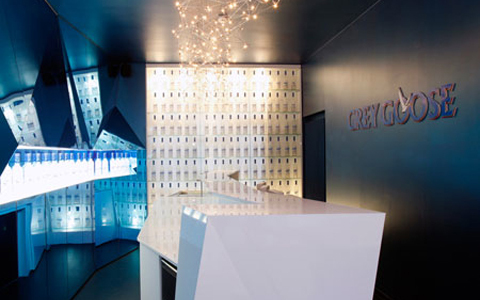 Puresang designed a full operating bar in the headquarters of Grey Goose in Brussels. 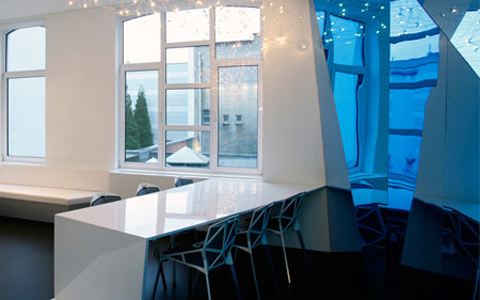 The design became a very exciting play of blue mirrors, cut in triangles and mounted in 3d against the wall to create more depth and tactility in the rather small space. 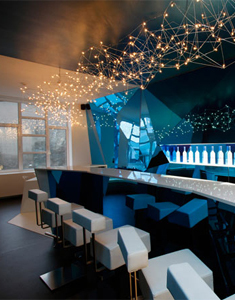 Grey Goose asked for a high-roller drinking environment that could also be used as a meeting room. 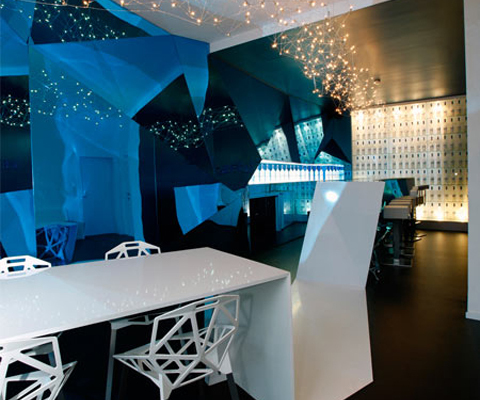 That’s why the lightstructure is custommade for this project and reflects the sparkles of ice. 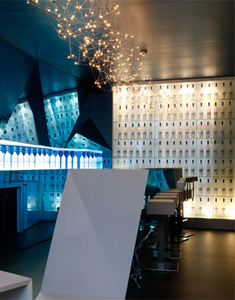 The wall at the end of the bar gives the room a dramatic feel without being too “product placing”. The bottles are used as a screen that feels as an icewall.